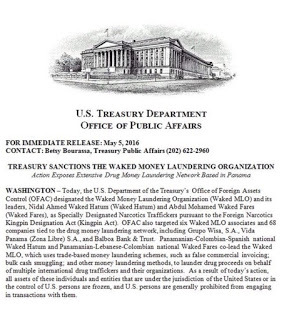 Balboa Bank & Trust, and Balboa Securities, two Panamanian companies linked to the Waked money laundering empire, and sanctioned by OFAC, have requested that the US agency's license, which has permitted them to continue to operate, be extended, according to reports from Panama. The OFAC license is said to expire on April 7, 2017. 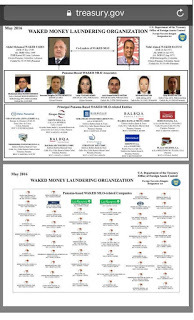 The Waked money laundering operation, which allegedly cleaned Colombian and Mexican drug profits, was well known to the authorities in Panama, as well as US law enforcement agencies, for at least a decade, but there were no efforts made to shut it down until last year.